That’s Marvel having a bit of fun with a small group of journalists who were invited to take an inside look at what goes into building their rapidly-expanding cinematic universe. A Captain America: The Serpent Society movie was teased nearly three years ago when it appeared on the Marvel Studios calendar during a “Phase Three” presentation. It was quickly revealed, however, that the title was just a placeholder so that the announcement of Captain America: Civil War could close things out with a bang. While we’re probably still not going to see Chris Evans facing off against snake-themed supervillains anytime soon, Marvel Studios did show off some tantalizing glimpses at upcoming films like Spider-Man: Homecoming, Thor: Ragnarok, Black Panther, Ant-Man and the Wasp and Captain Marvel! Housed in the Frank G. Wells building on the Walt Disney Studios lot in Burbank, California, the Marvel Studios offices are filled with props and costumes from every film in the MCU. An Iron Man armor display at the entrance mimics Tony Stark’s lab, while movie art wraps entire walls with different designs celebrating every inch of the big screen MCU. A massive comic book library is available on the premises. While Marvel Studios productions take place all over the world, it’s here that each one begins. Led by Marvel producer Jonathan Schwartz, the Marvel Studios tour began in a room where, on couches surrounding a large table (upon which currently sits a life size model of Baby Groot), ideas are bandied about for anything that might be cool to see realized on the big screen. 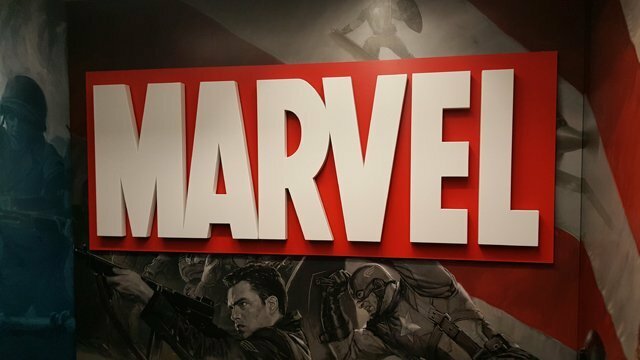 Downstairs, a screening room is used to receive each production’s dailies while also serving the double purpose of helping Marvel Studios scout for talent. Louis D’Esposito told the group that both Cop Car and Boy were screened by he and other Marvel Studios heads prior to hiring Jon Watts and Taika Waititi for Spider-Man and Thor, respectively. 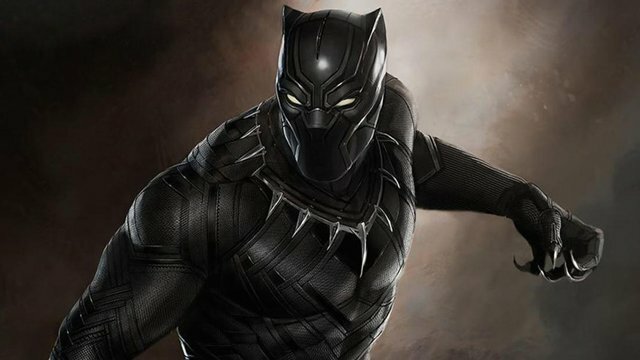 Next year’s Black Panther was teased with concept art, dailies and a sizzle reel wherein Marvel Studios President Kevin Feige promises that T’Challa is going to be a major player in the MCU moving forward. Instantly striking about the Black Panther footage is the film’s use of color. It appears to offer a palette that will rival Guardians of the Galaxy. An extremely technologically advanced nation, Wakanda is depicted as a sort of African Tomorrowland. Among the costumes showcased in the footage were bright red outfits for the Dora Milaje (T’Challa’s team of deadly, female bodyguards) and a bright purple robe for Forest Whitaker’s Zuri. Chadwick Boseman‘s title hero is getting a new costume for the February 16, 2018 release. Concept artist Ryan Meinerding explained to the Marvel Studios tour that director Ryan Coogler wanted a slimmer look than the version seen in last year’s Captain America: Civil War. Although it was glimpsed in the sizzle reel, the costume did not make an appearance in the Black Panther dailies. Those instead focused on a ceremony swearing T’Challa in as King. Boats are seen heading to the coronation at Warrior Falls with Lupita Nyong’o‘s Nakia being aboard one vessel said to belong to a border tribe. Another shot involved her taking down a group of men armed with rifles. “The Prince will now have the strength of the Black Panther,” says Zuri during T’Challa’s coronation. Other Black Panther footage included an elaborate car crash and a scene in a casino with both Andy Serkis’ Klaw and Martin Freeman’s Everett K. Ross. 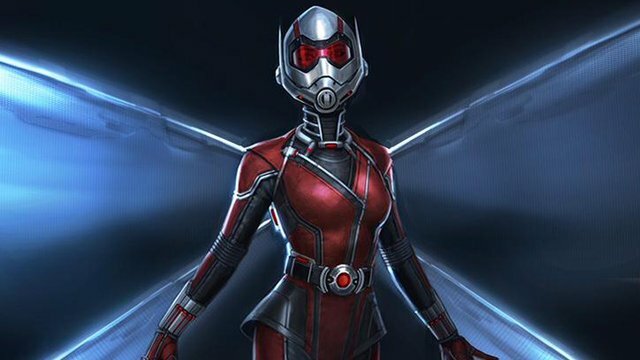 The tour was then met by Ant-Man director Peyton Reed, who teased next year’s Ant-Man and the Wasp and showed off concept work from artist Andy Park. Among the Ant-Man and the Wasp images on display was a new Ant-Man/Giant-Man suit. While Reed stressed that none of the art is necessarily representative of anything in the final film, one of the pieces showed off a new lab and others an action figure-scale car chase with one of the cars bearing a “PYM 1” license plate. Another image showed one of those same cars caught in the mouth of a proportionately-gigantic dog. Both the Janet Van Dyne Wasp suit and a new Hope Van Dyne Wasp suit were also depicted. The latter (which Reed calls “Wasp 2.0”) appears to be inspired by the comics’ black and gold look. While he didn’t go into specifics, Reed also teased a very different hairstyle for star Evangeline Lily. “We’ve already done our initial costume fitting with Evangeline and it looks so awesome!” said Reed. Production is about to begin on the film, but work is already well underway behind the scenes. Alongside the Ant-Man and the Wasp concept art was work that Andy Park did for Captain Marvel. The costume is an almost perfect match for the current comic book design with slightly more metallic colors and some additional jumpsuit texturing. 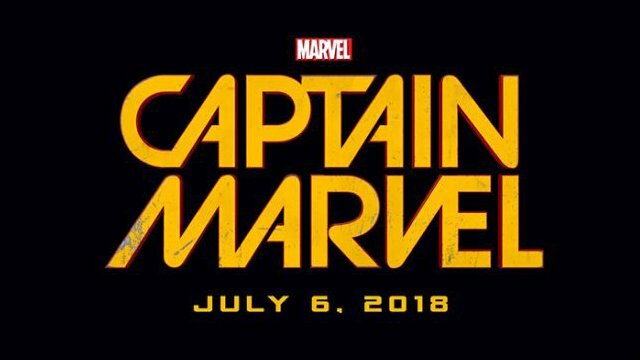 Although it was hinted by Reed that a director may have already been found, Park made clear that the art on display was not necessarily final and that the actual Captain Marvel costume has not yet been constructed. Star Brie Larson has seen the concept art that features her face, however, and she’s a fan. The tour was then greeted by Marvel Studios EP Victoria Alonso and Thor: Ragnarok director Taika Waititi for a look behind the scenes of the November 4 release. Waititi revealed that Korg and Miek, two of the characters from the comics’ “Planet Hulk” storyline, will appear. Audiences saw a Korg-like creature at the beginning of Thor: The Dark World and Waititi suggested that Korg himself is of a related species. That’s why Korg is being played (via performance capture) by Waititi himself. Miek, who does not talk, is not played by an actor but is, instead, depicted as a larva-like creature who competes in gladiatorial duels on the planet Sakaar with the aide of cybernetic legs and arms. The duels are orchestrated, Waititi said, by Jeff Goldblum’s Grandmaster in what may or may not be referred to onscreen as a “Contest of Champions.” Apparently, versions with and without the reference to the 1982 inter-company crossover were filmed and Waititi hasn’t decided yet whether it will make the final cut. Some work-in-progress footage of the scene where Thor meets Korg was shown with Waititi affecting a nasally, laid back New Zealand accent. “I tried to start a revolution, but didn’t print enough pamphlets,” Korg sighs about how he wound up getting thrown into the ring. He tells Thor that he only really does the warm-up matches, while Thor discovers that the room he’s trapped in is functioning as an infinite circle. When he tries to exit in one direction, he arrives from the other. The Marvel Studios slate will next see Guardians of the Galaxy Vol. 2 arrive on May 5. On July 7, Tom Holland’s webcrawler returns in Spider-Man: Homecoming. Then, Marvel Studios’ 2017 closes out with November 3rd’s Thor: Ragnarok. In 2018, Black Panther hits first on February 16 followed by Avengers: Infinity War on May 4, 2018. Between Infinity War and its follow-up, fans get Ant-Man and the Wasp on July 6, 2018 and Captain Marvel, starring Brie Larson, on March 8, 2019. Then Marvel Phase 3 will conclude with the untitled Infinity War follow-up on May 3, 2019. As always, check back for updates on all Marvel Studios projects as they become available and let us know in the comments below which films you’re looking forward to the most!